Price reduced and brand new AC installed! This is a once in a lifetime opportunity and the first time available for sale! 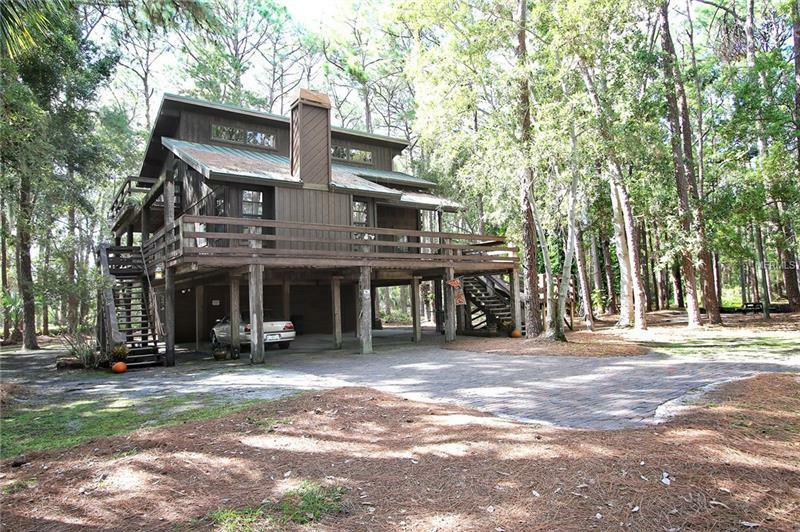 This one of a kind home sits on 1.1 acres! Completely private and secluded from neighboring homes, you will be surrounded only by sprawling trees and nature. Enjoy evenings by your wood burning fireplace or out on one of the two balconies or the expansive wrap around porch. The outdoor fire pit and grilling area featuring real Augusta block pavers, serves as an excellent entertaining area perfect for any sized get-together. This unique home has 3 bedrooms, 2 baths, and a loft/office area. On the bottom floor there is a 510 sq ft. garage/workshop offering up plenty of space for crafts or hobbies and an expansive 6 car car-port. Come bring your toys and make this your dream home!